You did it, America. You got me sacked and ruined the best thing that ever happened to your national football team. That’s right. I didn’t say “soccer”—I’m not on your payroll anymore, so I don’t have to use your words. It’s Fußball! Deal with it. 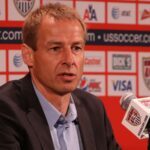 Anyway, your bitter, neophyte media all wrote the same article blaming me for everything from the Mexico and Costa Rica losses to global warming enough times that the USSF fired me before I could fully implement my top secret and totally perfect plan to create the United Soccer States of Jurgen Klinsmann. And now you’ll never know what it’s like to win a World Cup (or a European Championship, for that matter) like me. While everyone else is busy pointing out what they wrongly interpreted as things I did wrong, I thought I would be generous enough to lay out all the good things I did in terms clear enough for a few of you to maybe understand. When Bob Bradley or any of the other glorified high school gym teachers who came before him were in charge, you were just happy when they put more than eight players on the pitch and had them all wearing the same colors. But when I showed up, suddenly anyone who ever changed the default formation on a FIFA video game is Marcelo Bielsa. The truth is, football tactics are like art. Where one person sees a 4–2–3–1, I might see a majestic steed galloping through a stream. Or a flash of colors and shapes too brilliant to put into words. There are no correct answers with this stuff. Tactics are one of the world’s great mysteries. Like algebra or the Tooth Fairy. While previous managers had their top players striving to test themselves in the best leagues around the world—the ultimate cathedrals of higher learning for our game—I had MLS paying them big money to do the equivalent of moving back into their parents’ basement after their freshman year of college. MLS is trying to create a mediocre monopoly on the sport in this country that only benefits their owners and I tried to warn you about the dangers that presents for the national team. But you just called me a “Eurosnob” and watched as Don Garber ranted at me like a parent angry at the teacher for giving their perfect little angel who never does homework a C on a test. Also, it’s very interesting that they waited to fire me just after a report proving me correct about the need for promotion and relegation and a 60 Minutes feature on the women’s team’s fight for equal pay came out. How convenient that in a moment they needed a distraction from two major issues they don’t like, I suddenly have to be fired. Open your eyes, sheeple. Don Garber puts fluoride in the players’ Gatorade bottles. 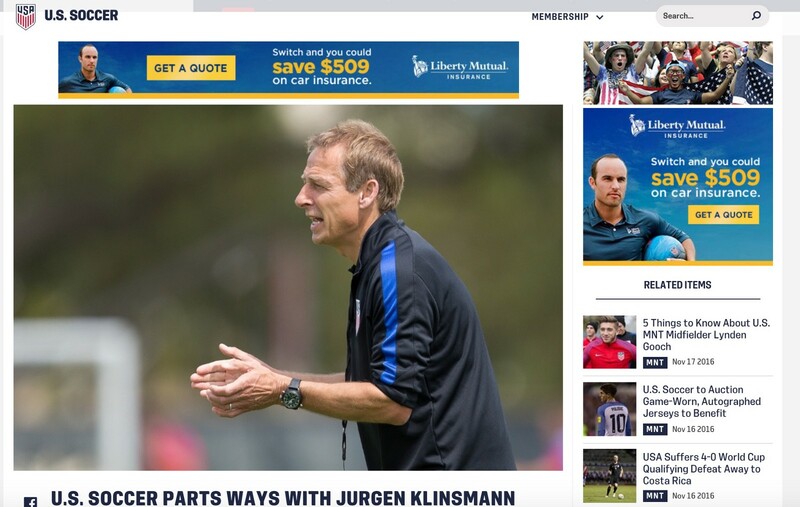 Oh, and it definitely wasn’t a coincidence that they surrounded the announcement with Landon Donovan ads. This was a vendetta. 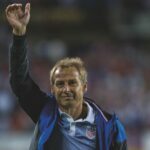 By pure luck, Bruce Arena had probably the best U.S. team ever in 2002 and when I came on, I inherited the last of that group at the tail-end of their careers. Since this country treats player development as a privilege for rich kids in need of extracurricular activities to round out their college applications, I had to get creative to replenish the player pool. So I used the respect everyone outside this unappreciative country has for me to attract a group of dual nationals that Bruce “Players on the national team should be—and this is my own feeling—they should be Americans. If they’re all born in other countries, I don’t think we can say we are making progress.” Arena never would have brought in. So if you think we were bad even with these players, think how much worse the team would’ve been without them. And if you’re wondering why I couldn’t completely overhaul the country’s youth development system and produce a team of Leo Messis in the two years I was technical director, well I’m sorry I never mastered the ability to bend the space-time continuum. Maybe you should hire Dr. Emmett Brown and his time traveling DeLorean to replace me. Not to go all Tim Sherwood on you, but I had the second most wins and second best win percentage of all U.S. national team managers. Sure we lost some games we should have won, but when it mattered most, I got results. And that’s what international management is all about. Total wins and losses don’t matter. Just results in major tournaments. I won the 2013 Gold Cup (and was named the 2013 CONCACAF Coach of the Year), got out of a very difficult group at the 2014 World Cup (which included eventual winners Germany and Euro 2016 winners Portugal) that none of my small-time predecessors would’ve gotten out of. And I won our group and got us to the semifinals of the Copa America Centenario just five months ago. So what if we didn’t win the 2015 Gold Cup or reach the Confederations Cup? No one important cares about either of those tournaments. Plus, what do you want me to do—win everything? That would be greedy. The losses to Mexico and Costa Rica, a.k.a. our two toughest opponents in this round of World Cup qualifying, were unfortunate, but ultimately not as important as people pretended they were. Just because they happened to be the first two matches of the (long and forgiving) qualifying round, the media had an opportunity to spin this as the U.S. being at risk of missing out on a World Cup and salvage a bit of traffic from the international break. Good luck getting my successor fired during the next slow news week, too. Ultimately, this was my only sin. I believed the U.S. could achieve great things in this sport. I believed you would have the patience and maturity to let me lead you on an incredible journey. I believed the sport should be held to a higher standard in this country. And I thought you were starting to see that. But, in the end, the only person you wanted to hold to a higher standard in all of U.S. Fußball was me. How tragic. For you, but also for me. But mostly for you. Maybe one day the U.S. will win a World Cup, see the shameful error of your shortsightedness, and thank me for my genius like Germany did after I built the foundation for their success. Or maybe you will slide backwards, eventually giving up on a men’s team entirely after I refuse to forgive your grievous misjudgment and return to save you. Either way, you will miss me.